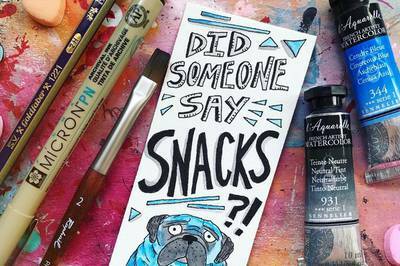 Enter your email address below to receive a notification when ArtSnacks starts accepting new sign-ups! Enter your email address below to receive a notification when ArtSnacks is accepting new sign-ups again. 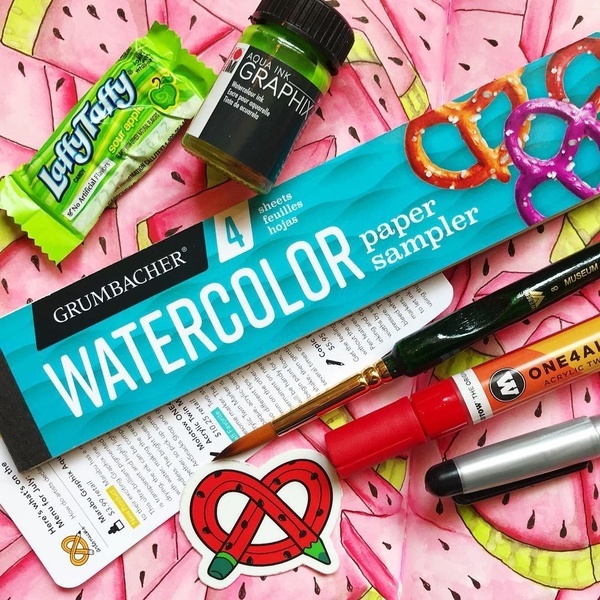 Discover your new favorite art supplies, monthly. We ship on the last business day of each month. For example, we ship out the February box on January 31st. Tracking numbers are emailed once shipped. Please note: You will be billed every month on the date you signed up. Example: If you signed up on March 3rd, you will be billed again for your next box on April 3rd. 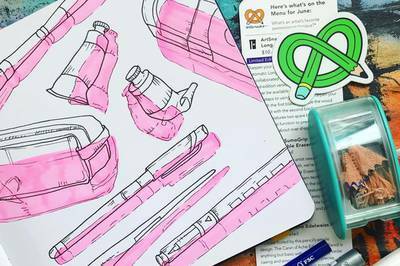 ArtSnacks - Discover new art supplies, monthly. 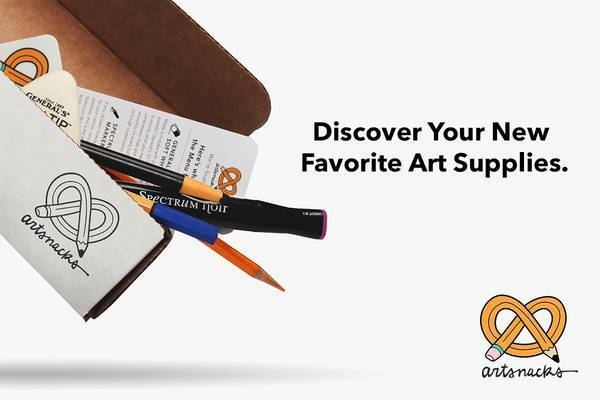 ArtSnacks is a subscription box of unique, high-quality art supplies, with a mission to inspire people through the discovery of amazing art materials. Every month, subscribers discover new products, limited-edition tools, exclusive supplies, and useful techniques through our service. 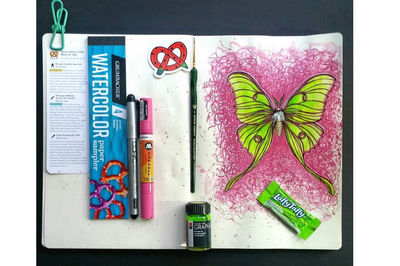 We’ve tested all the art supplies beforehand, so they’re curated to work perfectly together. Get access to our exclusive online community upon sign-up! 2 months and no box. VERY disappointing. Hi! I am writing this review right now because my sister does not have a CrateJoy account. In the most recent ArtSnacks box we got, the bonus item Stonehedge paper (I think it was called that) was not in there. Everything else was great, but we were missing that item. This was a disappointment because she loved the paper in a previous box we got and was looking forward to using it again. I enjoyed the products delivered and feel that the cost is well worth it. 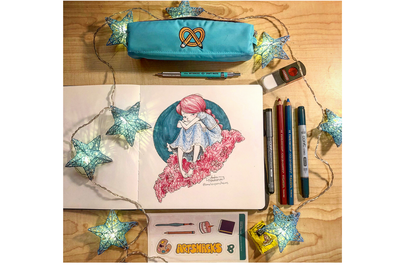 I have been an Artsnacks subscriber for about 4 years now and I gotta tell you its such a delight every month getting some fabulous art supplies which I probably wouldn't have tried out at art stores but given the chance to do so has really made my art go into so many different directions and I LOVE it. Thanks Artsnacks! I've used every tool from the October box in my inktober drawings. I love that the box was catered toward inktober and that there was nothing in the box that I already owned. Great box! ArtSnacks has been one of the most fun subscriptions that I’ve tried. Always amazing supplies. As an avid doodler I'm always looking for new art supplies to try out but supply stores can be a little overwhelming. This box is the perfect way to try out some high quality and trendy products curated by and for artists. Love the concept and the quality is great. I've been an ArtSnacker for over 3 years. Yeah, it's that good! 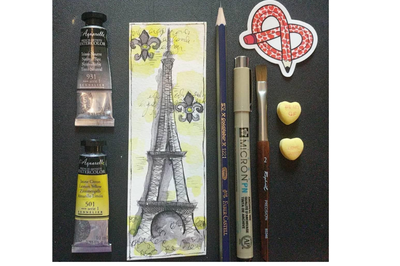 The biggest draw for me is the ArtSnacks Challenge - use all the supplies in the box together in one art piece. 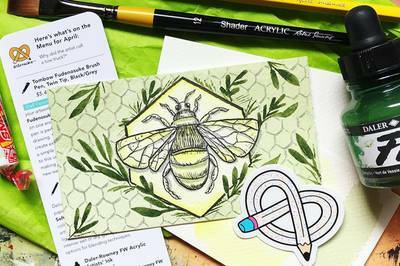 Every month, I get nudged out of my comfort zone with supplies/colors/combinations I never would have thought of, and I get the added bonus of sharing my creations with the creative, welcoming ArtSnacks community online. The ArtSnacks Shop for past boxes/supplies is also top-notch, and the customer service is amazing. Do not hesitate to give this one a try! I joined Artsnacks back when when we were both starting out in the art world. I have never been disappointed by any product or box and there is always something in the box I haven’t used before. I also appreciate the tutorials, box breakdowns and the mix community of members with help and advice that comes with this subscription. I get a few other subscriptions (one of them another art box) and NO ONE else does all that for its members! You won’t regret it - and it’s always worth what you pay! 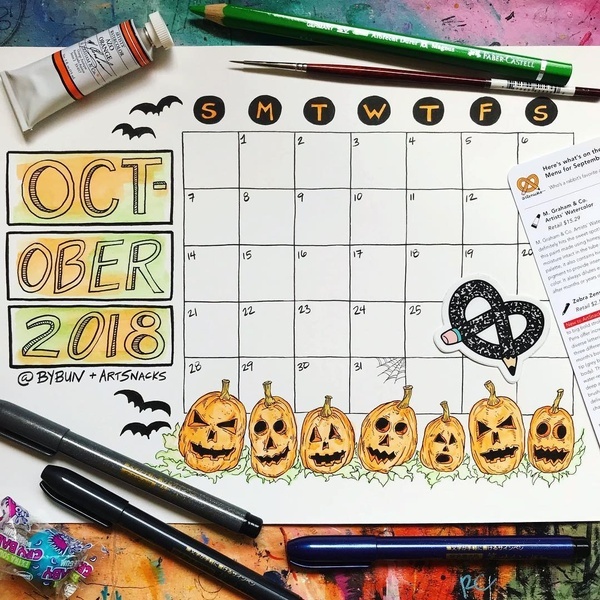 We put a little pumpkin spice into the September ArtSnacks Box. 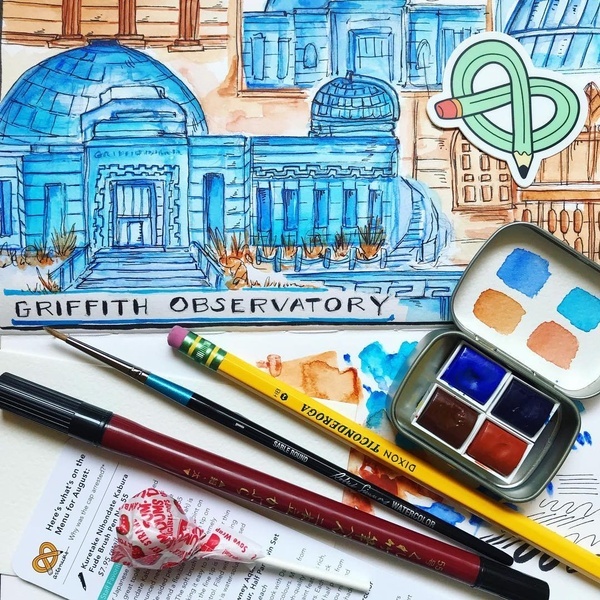 An exciting excursion to the famous Griffith Park Observatory in Los Angeles!